Fourth album is a live-album. Since 2005 Swiss, Nik Bärtsch and his band Ronin, has been connected to ECM. 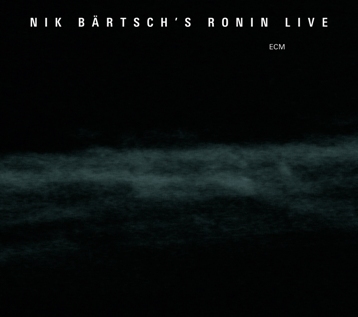 As a contemporary band rooted in time most people can count, Nik Bärtsch’s Ronin is a unique name at ECM. It’s a double album with recordings from Germany, Austria, Netherlands, Great Britain and Japan. It’s also a goodbye to the original bass player, Björn Meyer. The significant bass with its constant groove up front in the sound has been a characteristic for the group. Very appropriate the replacement, Thomy Jordi, is playing his bass on the very last number of the album. And it is good to hear: the group won’t run out of amazing bass grooves. Live is presenting a number of compositions from earlier albums and it is obvious that the group has always had a vivid expression. In the liner notes of the booklet, Nik Bärtsch writes, that a concert is a meditative and explosive kind of collaboration. Both for the musicians and in the meeting between musicians and audience, whom you don’t really hear by the way; the audience. And it’s a shame, since the music isn’t a fragile-solo-piano-concert by Keith Jarret, which would fall apart by a single cough. I could use a little more noise, otherwise it all gets too insipid.